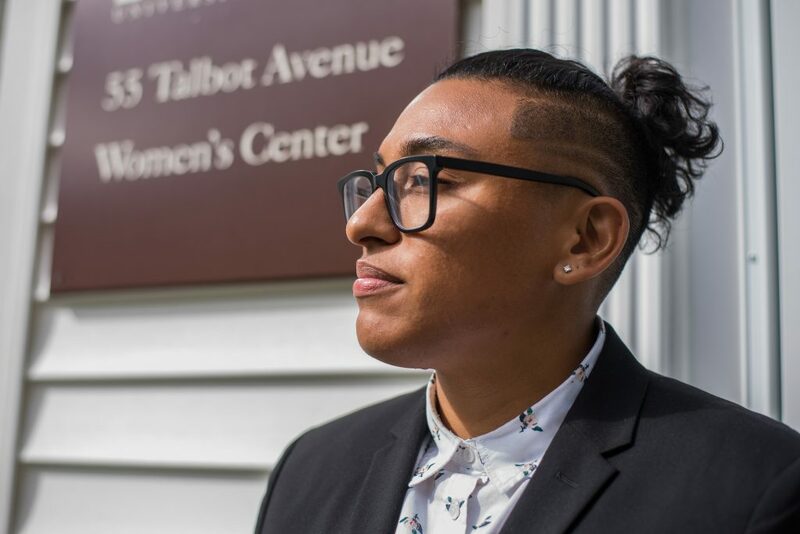 Tufts has hired K. Martinez, former Associate Director of the Diversity and First-Gen Office at Stanford University, to direct the Tufts Women’s Center. Martinez began their new role at Tufts on May 8. The hiring concludes a semester-long, nationwide search to replace former Women’s Center Director Steph Gauchel, according to Dean of Student Affairs Mary Pat McMahon. Gauchel left the center last February to become Assistant Dean for Student Affairs at the Harvard Divinity School. Martinez explained that they see the Women’s Center as a campus space for people of all identities. McMahon said that the search committee sought to hire an individual capable of strengthening the Women’s Center’s presence on campus. The search committee considered student opinions in the decision-making and hiring process, according to McMahon. She noted that about 120 individuals applied for the position. Nicholas Whitney, a graduate intern at the LGBT Center and graduate assistant at the Women’s Center, participated in the search process. Whitney expressed support for Martinez. “I think that K. has the type of experiences and intellectual interests in order to center those in conversations and really move the center in the right direction,” Whitney said. Made Bacchus, a junior who also participated in the search process, said that she hopes Martinez will allow for the Women’s Center to have a more intersectional presence on campus. In particular, she believes that Martinez will improve the space for women of color and non-binary, genderqueer and transgender students. Martinez said that they resonated with the hiring committee’s description of an ideal candidate, which was somebody interested in discussing topics related to intersectional feminism and gender. “When I was looking at the mission statement and the goals [for this position], I was particularly drawn to the language around talking about social justice and intersectional feminism and identity, and the harmful impact of the gender binary,” they said. Martinez said they hoped to maintain the Women Center as a place for conversation, especially as a gender-nonconforming individual. Martinez also emphasized the belief that the Women’s Center should be a place that welcomes everyone. “I want all people to feel comfortable based on their identity, to go in the Women’s Center,” they said. McMahon recognized Martinez’s potential to build upon Gauchel’s seven-and-a-half year legacy as director. McMahon also thanked all candidates who were interested in serving as Director, and stressed that it was a difficult decision.